Correlation is a measure of the similarity of two currency pair charts. If every time one chart moves up or down the other chart moves by a similar amount in the same direction we say that one chart is highly correlated to the other. Essentially if you put the charts side by side there are few if any differences. The correlation value in this case would be 1. You can also have the case where when one chart moves in an equal but opposite direction to the other. In this case one chart is a mirror image of the other and we say that the charts are negatively correlated and have a correlation value of -1. In between these two extremes we have every conceivable combination of correlation. A correlation of 0 means no correlation at all. Now you understand what Forex correlation is; why is it important? The main reason we use forex correlation is to do with the control of risk. The effective management of risk is probably the single most important factor in determining your trading success. You probably have a rule in your trading plan (you do have one don’t you!!!) that says do not risk more than say 2% of your trading capital in any one trade. By doing so you limit the potential impact if a trade goes against you, preserving your hard won trading capital. Some currency pairs are very highly correlated. For example, the Swiss Franc (CHF) and the Euro/USD go in opposite directions most of the time. Therefore if you longed the CHF & sold the Euro/USD at the same time, its the same “bet” and you have doubled your risk if the trade(s) fail. Have a look at the following chart comparing the USDCHF vs EURUSD. As you can see in the diagram above, these two forex correlation pairs are almost perfectly negatively correlated. If you were to open a buy order on the EURUSD with a 2% risk and open a sell order with the same risk on the USDCHF then this would be exactly the same as opening a single buy order with a 4% risk on the EURUSD, hence breaking your maximum risk rule. If one trade goes against you then it is almost certain that both would. With multiple correlated pairs amongst those we trade, then it follows that the potential for exposing our accounts to excessive risk is considerable. 1. Avoiding trading two or more correlated pairs at the same time, stick to one out of the set. 2. Spread the risk by taking a smaller position on trades across correlated groups. For example, if we know that two pairs are highly correlated, then only take a 1% risk on each, thus ensuring the overall risk does not exceed our maximum. Secondly, being aware of highly correlated pairs can be helpful in confirming or giving early warning of trading signals. If the correlation isn’t perfect (ie; 100%), then a trade signal on one pair often occurs before the corresponding signal on the other. For the uninformed, correlations are a trap that can potentially wreck their trading; for the informed trader however they hold no fears and can potentially enhance trading. Correlations vary over time and tend to be different over different timeframes. The correlation between USDCHF and EURUSD is obvious and well known. However, there are many more significant correlations between commonly traded currency pairs that are not so apparent. Correlation is covered in more detail in my forex mentor program. If you would like to learn more about how to use fibonacci for entries, exits, stops and targets then consider joining my low cost forex mentor program. To find out more thoughts and inside tips on forex trading, take a look at some of our blogs. Forex Correlation Video Earth and Sky Fx Trading System RED FLAG NEWS FOR THE WEEK AHEAD!!! Whats Cooking In The Forex Kitchen This Morning? Forex Mentor Pro is not an investment advisory service, is not an investment adviser, and does not provide personalized financial advice or act as a financial advisor. Forex Mentor Pro exists for educational purposes only, and the materials and information contained herein are for general informational purposes only. None of the information provided in the website is intended as investment, tax, accounting or legal advice, as an offer or solicitation of an offer to buy or sell, or as an endorsement, recommendation or sponsorship of any company, security, or fund. The information on the website should not be relied upon for purposes of transacting securities or other investments. You hereby understand and agree that Forex Mentor Pro, does not offer or provide tax, legal or investment advice and that you are responsible for consulting tax, legal, or financial professionals before acting on any information provided herein. “This report is not intended as a promotion of any particular products or investments and neither Forex Mentor Pro group nor any of its officers, directors, employees or representatives, in any way recommends or endorses any company, product, investment or opportunity which may be discussed herein. Your use of the information contained herein is at your own risk. The content is provided ‘as is’ and without warranties of any kind, either expressed or implied. Forex Mentor Pro disclaims all warranties, including, but not limited to, any implied warranties of merchantability, fitness for a particular purpose, title, or non-infringement. Forex Mentor Pro does not promise or guarantee any income or particular result from your use of the information contained herein. 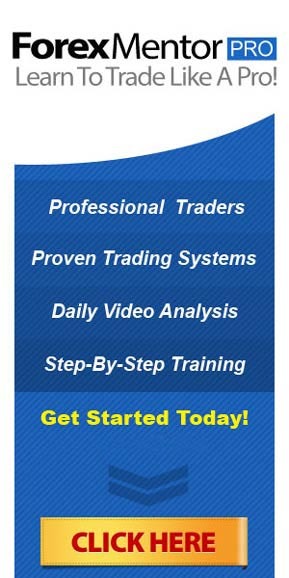 Forex Mentor Pro.com assumes no liability or responsibility for errors or omissions in the information contained herein. Under no circumstances will Forex Mentor Pro be liable for any loss or damage caused by your reliance on the information contained herein. It is your responsibility to evaluate the accuracy, completeness or usefulness of any information, opinion, advice or other content contained herein. Please seek the advice of professionals, as appropriate, regarding the evaluation of any specific information, opinion, advice or other content. 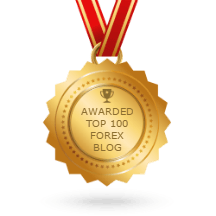 Marc Walton, owner of Forex Mentor Pro, communicates content and editorials on this site. Statements regarding his, or other contributors’ “commitment” to share their personal investing strategies should not be construed or interpreted to require the disclosure of investments and strategies that are personal in nature, part of their estate or tax planning or immaterial to the scope and nature of the Forex Mentor Pro philosophy. All reasonable care has been taken that information published on Forex Mentor Pro website is correct at the time of publishing. However, Forex Mentor Pro does not guarantee the accuracy of the information published on its website nor can it be held responsible for any errors or omissions.